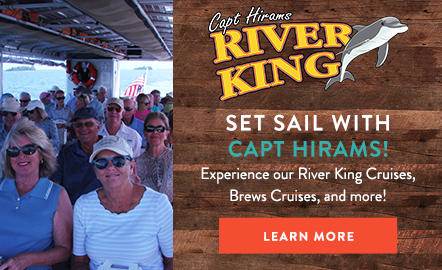 Capt Hiram's brand-new River King, a USCG approved 40' Sightseer pontoon boat with twin 115hp Mercury engines, offers daily ecology tours departing from Capt Hiram's Marina. 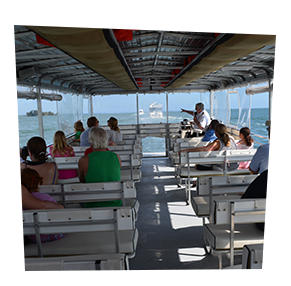 Sail along the shallow waters of the Indian River Lagoon and the Sebastian River in all weather comfort. Call (772) 589-4345 for more information. 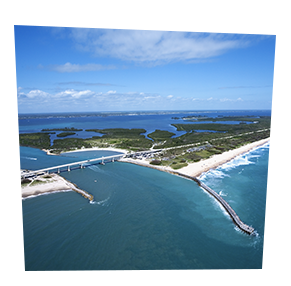 Tucked between Fort Pierce and Cape Canaveral, Sebastian is the site of Sebastian Inlet State Park, featuring three miles of Atlantic Ocean beaches ideal for surfing, swimming, sunbathing, snorkeling, shell collecting and scuba diving. If surfing is your thing, the Sebastian Inlet is a world-famous spot known for its Atlantic barrels and sweet hurricane swells. Don’t miss your chance to hang 10 here. 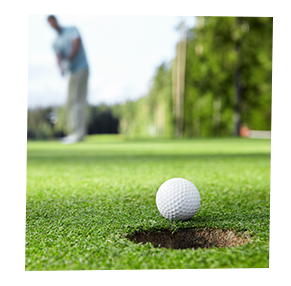 For golfers, Sebastian offers three golf courses in close proximity to the Inn at Capt. Hiram’s. Ask our staff for their opinions on the courses and they’ll help you choose between the Sebastian Municipal Golf Course, Sandridge Golf Course and Habitat Golf Course. A sanctuary for those who love being outdoors and enjoy nature and wildlife, the Sebastian Inlet State Park is a prime location for surfing, fishing, and canoeing and kayaking. There are enough outdoor activities here to stay for days, whether it's bird watching, hiking the relaxing Hammock Trail or scuba diving.